The healing powers of the Garnet family of multiple colors are guidance, protection, purification and warmth. We are going to look at the Red and Green Garnets. 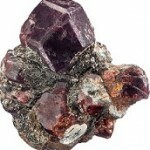 The Red Garnets represents love, connecting to the Heart, Crown and Root Chakra. The Red Garnet stimulates sexuality, promotes trust, understanding, sincerity and honesty to a relationship. The Red Garnet is said to provide balance, inspires creativity and also controls self anger. The Demantoid Green Garnets are considered the best for healing. These Garnets are said to give vitality, help prevent fears, insecurity, and feelings of loneliness. Demantoid Garnets help in treating infectious diseases, blood poisoning, also heart and lung diseases. 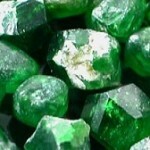 All Green Garnets strengthens, purifies, revitalizes and energizes the body’s systems.